Home » Acid Rain , Environment and Ecology , Marble Cancer , Pollution » What is marble cancer ? What is marble cancer ? Marble Cancer refers to the corrosion of buildings and statues made up of marbles by the action of sulfuric acid and nitric acid. SO2 and NO2 present in the air as pollution, get deposited in these buildings. These oxides absorb moisture from the air and convert it into respective oxides and cause corrosion. At the time of rain, the oxides of sulphur and nitrogen react with it and form acid rain. When such rain falls on monuments by dissolving the calcium present in it to make salt. Mable cancer causes disintegration and yellowing of building or statue. Taj Mahal is losing its white shine because of marble cancer. Q. Taj Mahal is said to be suffering from 'Marble Cancer'. What is Marble Cancer? What is meant by a marble cancer? What are the causes? The marble cancer refers to the corrosion of building and status made up of marbles by the action of sulfuric acid and nitric acid. The SO2 and NO2 present in pollution get deposited on these buildings. These oxides absorb moisture from the air and get converted into respective acids and cause corrosion. Statues and structures made up of marble and limestone are slowly corroded as the rain water containing the acids fall on them.both sulphuric acid and nitric acid dissolve marble to form salts.acid rain corrodes the marble of the monument.this phenomenon is also known as marble cancer. If we consider Taj Mahal, the industries located in and around Agra like rubber processing, automobile, chemicals and especially the Mathura oil refinery, have been responsible for producing pollutants like sulphur dioxide and nitrogen dioxide. 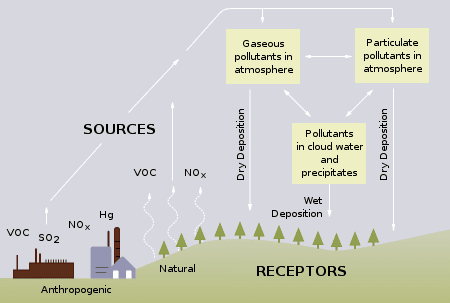 These gases react with the water vapour present in the atmosphere to form sulphuric acid and nitric acid. The acids drop down with rain, making the rain acidic. This is called acid rain. Acid rain corrodes the marble of the monument. The phenomenon is also called “Marble cancer”. Thanks for reading What is marble cancer ?